Fritz Hansen sent me to Copenhagen on a research trip. 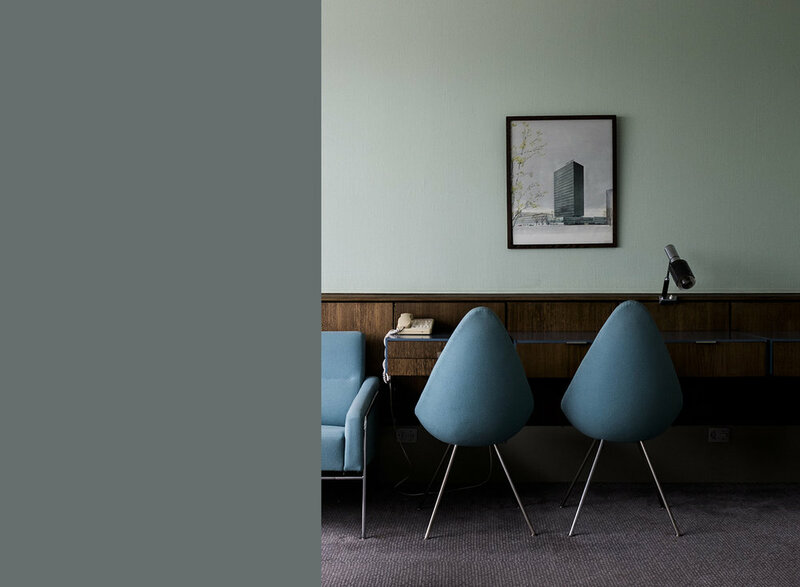 Designer and architect Arne Jacobsen has a long history with Fritz Hansen and it was a privilege to be granted access to such places as the Bank of Denmark to shoot Jacobsen designer buildings. I have a huge appreciation of product design and discovering new design whether vintage or contemporary.